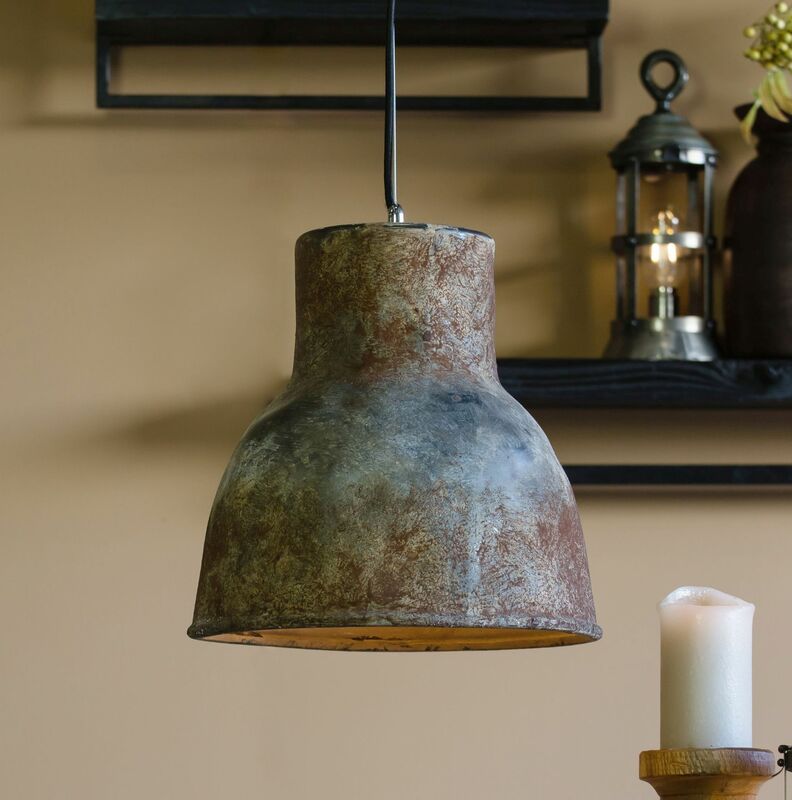 This Interstellar Pendant Light has been given a beautiful rusty patina finish and it looks great lit or unlit, adding industrial character and style to any space. 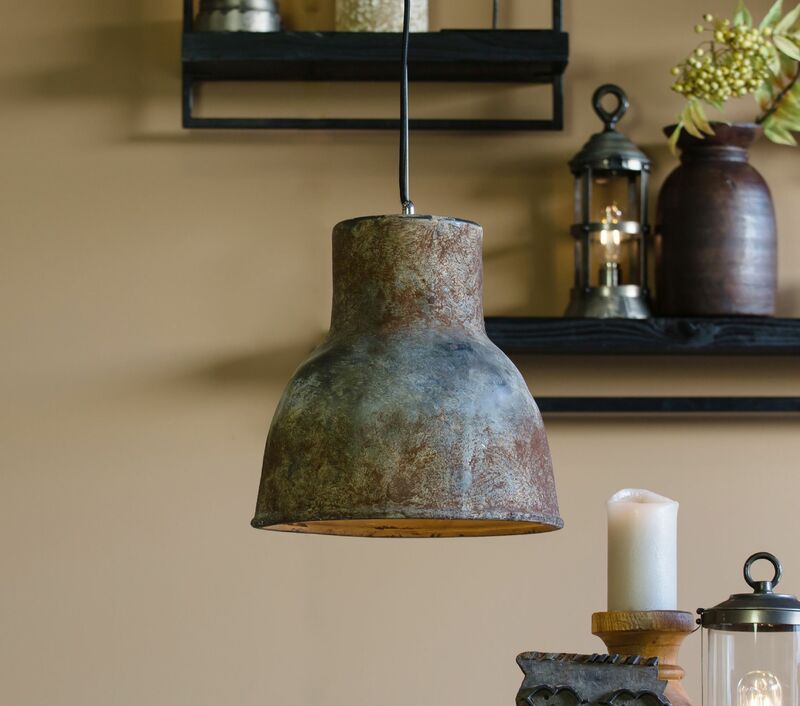 They look great lit or unlit and add character and style to any space. Takes any E27 (large screw) bulb, are dimmable and come with around 90cm of fabric flex that can be shortened to any length and a black metal ceiling rose.